If you prefer a smartphone with a little more bling stuck to the outside and less features on the inside, then this new Tag Heuer Link smartphone might well be worth a look. Underneath the leather, alligator, lizard-skin and diamonds is a smartphone powered by a dual-core processor supported by 1GB of memory running Android Froyo with 16GB of storage, and a 4G radio. Watch a promotional video of the Tag Heuer Link smartphone after the jump. 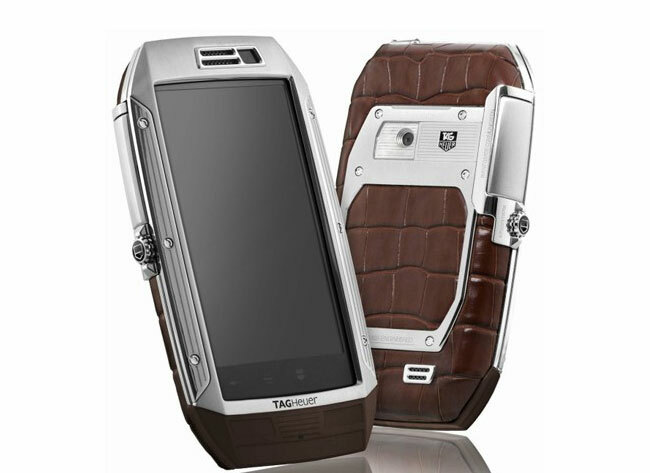 The Tag Heuer Link Smartphone comes is either black leather and 18K rose gold or brown and titanium finishes. On a positive point the Tag Heuer Link smartphone does come with a 5 megapixel camera.